With the most romantic day just around the corner, it’s worth knowing about some of the fabulous Valentine’s day cocktails London has to offer. Whether you’re spending Valentine’s day with a loved one, a family member or splashing out on a Galentine’s date, we’ve collated a list of places you can go to get your hands on the finest tipples about town. The new duck- focused pop-up restaurant, Monsieur Le Duck, located on Brushfield Street will be serving up a delicate aperitif from the South- West of France this Valentine's Day. The Pousse Rapière priced at £8, consists of Armagnac liqueur & sparking wine and is the perfect precursor to a evening of French food and fondling. 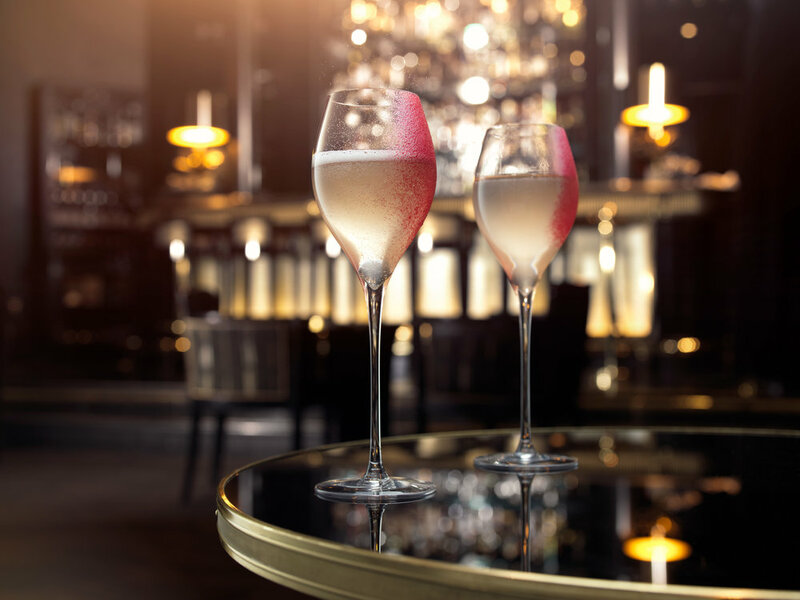 Set in the heart of St James', Quaglino's will be hosting an entertainment filled Valentine's Day celebration complete with delicious food, sharing cocktails and live music. The bar will be serving up a delectable sharing cocktail, ideal for couples, named the 50-50 containing Cassis, Bergamotto, Tanqueray 10, ginger and lemon tea, bubbles at £25. Another specially designed cocktail on the menu for Valentine's Day is the gorgeous 24000 Baci, which features Rinomato Aperitivo, Mancino Chinato, Chinotto, Peroni Ambra), priced at £14. 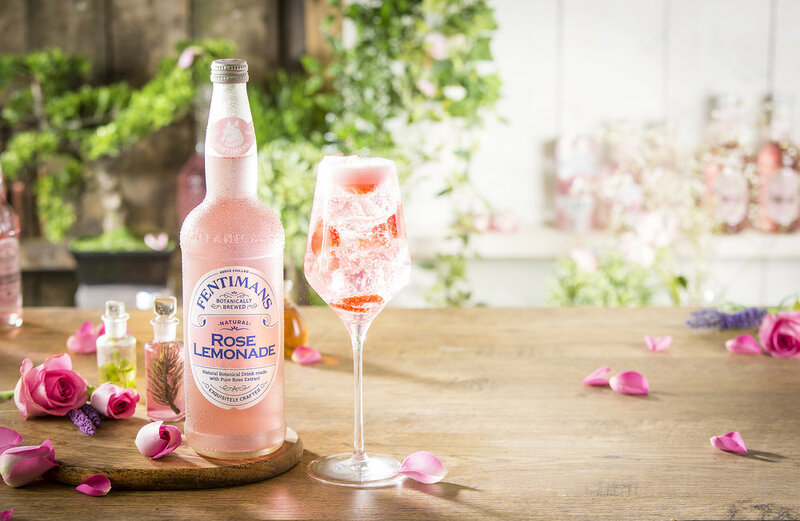 This February 14th, Fentimans will encourage busy Londoners to be their own Valentine and take time out of their hectic lives to treat themselves. For the occasion, Fentinmans has created a 'Love Yourself' menu which will be available exclusively for Valentine's Day at Duck & Dry, London's finest blow dry salons, across the capital. TV’s most recognisable bartender, Merlin Griffiths, will be behind the bar at the Oxford Circus Duck & Dry from 12pm-2pm where he will be whipping up Fentimans Rose Lemonade cocktails from the ‘Love Yourself’ menu which includes the blush pink and delicate Rose Spritz. Rose Spritz is a refreshing aperitivo cocktail made with Fentimans Rose Lemonade, simply served in a wine glass filled with ice, topped with Prosecco and garnished with fresh strawberries. This light and effervescent tipple is easy to recreate at home and to share with friends and loved ones this Valentine’s Day. Tucked away upstairs at Simpson's in the Strand is the Knight's Bar, with cosy nooks and an innovative seasonal cocktail menu it is a beautiful hideaway to enjoy pre-dinner cocktails on Valentine's Day. The Allotment-inspired 'Boozy Bill of Fare' takes inspiration from the humble kitchen garden of Britain and this winter menu pays homage to ingredients that survive the winter's chill. Evergreen (£16.50) comprises gin, pine, rosemary, birch, lime and English sparkling wine and while it nods to hardy plants that grow throughout Northern Europe, this complex cocktail also reminds us of perennial love that weathers all.